An environment where kids can experience God in a way that they’ll never forget. 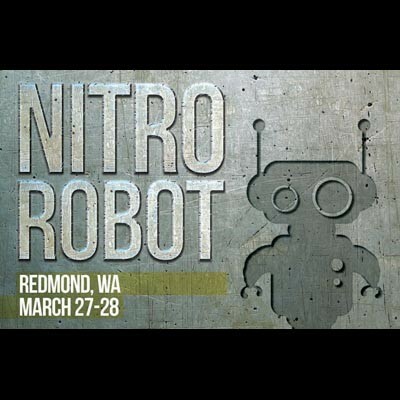 Nitro will be filled with crazy fun activities, inflatables, live worship, powerful altar times, and much more that you won’t want to miss. This will truly be an experience that will challenge your child’s life and heart. All kids in the 3rd and 4th grades are welcome to join us for this annual district kid’s conference in Redmond, WA. It is an exciting time of worship and learning. Cost of the event is $65.00. Contact Angela Nelson for more information. Click on the robot below to register.